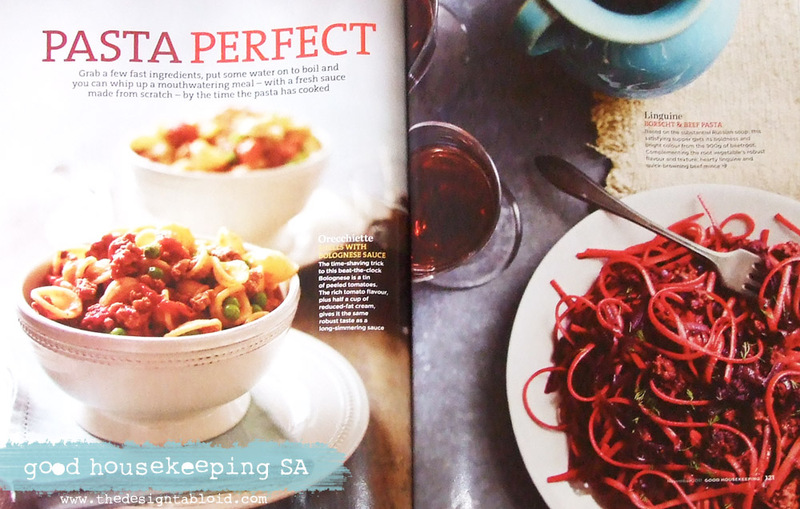 The next time you are standing in front of the rack displaying magazines at the supermarket or bookstore, take time our to meet the new kid on the block – Good Housekeeping Magazine (SA). 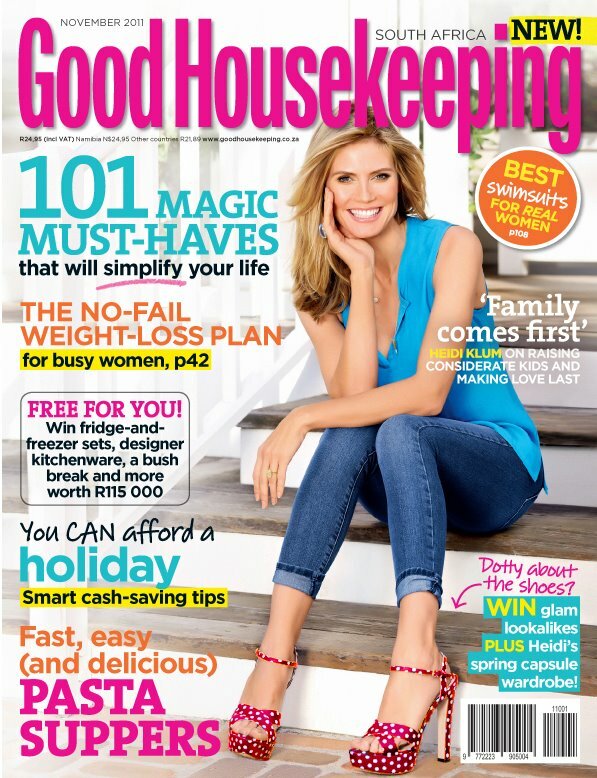 Yes the Good Housekeeping mag has come to our shores at last. It might be the new kid on the block in terms of South African mags, but it is an internationally recognized superbrand which was first launched in 1885 – you heard right! Wrap you brain around that one – 126 years ago! With more than 30 million readers across the globe. In fact in the very first issue, there is a double page spread showing you exactly the countries it is to be found in. 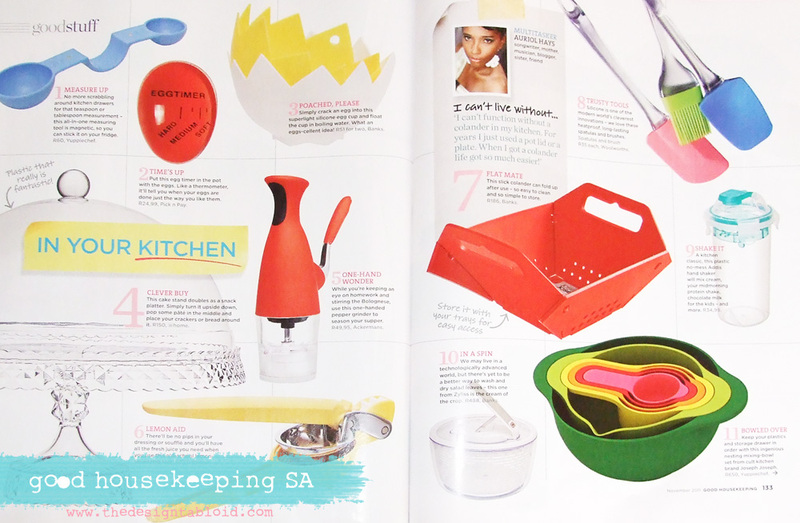 It is not specifically an interiors magazine, although it naturally has a very good décor section and pages with all sorts of gorgeous décor goodies to buy from SA retail outlets. To quote the editor Sally Emery, “It is targeted at women exactly like you and me – women with full, busy lives, who are looking for smart, easy, affordable (and fun) solutions to all the challenges life throws at us.” Having read the GH from cover to cover, I could not sum the content and mission up any better – it is as she said it. The various sections /categories of the GH are all titled with a wonderful play on the word “GOOD”. There is “Good Choices” – good buying options shared; “Good Looks” – which deals with beauty & fashion; “Good Buzz” – insights into home, family, celebs etc; “Good Advise”- expert advise on different aspects of life; “Good Enough Housekeeping” – fun ideas, short cuts, step-by-step solutions and then lastly “Good Health” – speaks for itself. 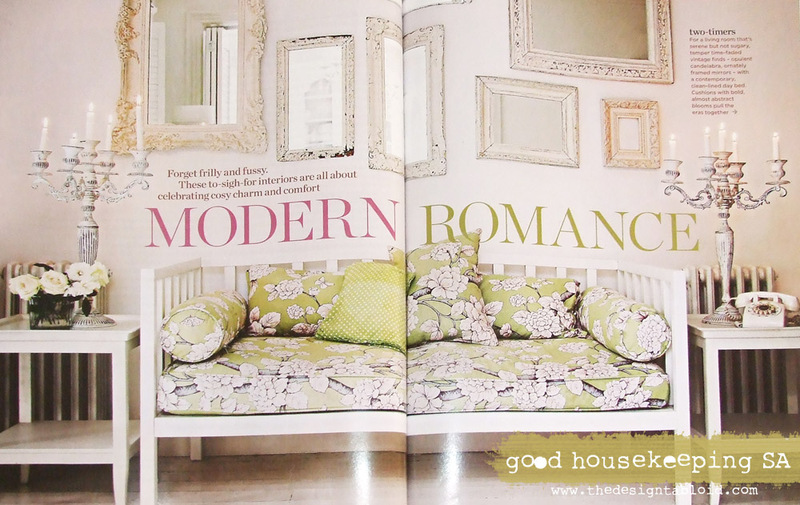 In the Good Enough section you will meet our favourite local blogger, Vicki Sleet from I Want That. Vicki, who is also Good Housekeeping’s Lifestyle Editor, heads the lifestyle advice column called “Ask Vicki” for all house-care tipe questions. Well done Vicki! On the cover of this first issue is none other than Heidi Klum who after 4 children still looks like so slim, trim and beautiful. There is a fab interview with her in the Good Buzz section. What do I fancy most about this mag and in particular this issue? For starters, I don’t do bikinis anymore and was so chaffed to find an article showing full length bathing costumes and helpful hints as to what to look for when buying. 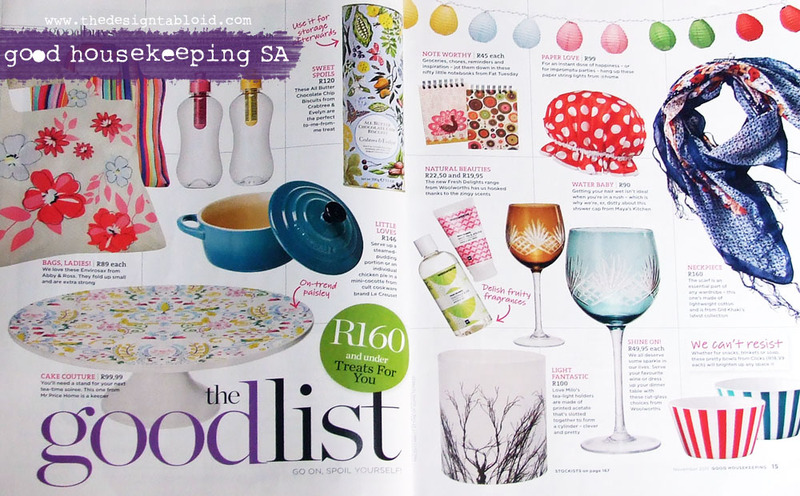 Then the “101 wonders / magic must haves” – clever buys with awesome images. I cannot actually single out anymore because the mag is jam packed with loads of interesting tips and features. They are equally as active online. You will find loads of competitions on their website. Stay updated & interactive with them on Facebook and Twitter. Marica and I have just had the fun-est time entering the entire lot of FAB competitions online. Get in there quick peeps – it anything from an iPad and appliances to picnic baskets and a nature reserve weekend! I have read the book “Elephant Whisper” and want nothing more than to go hang out with them ellies in Thula Thula. The iPad – okay, between Marica and I may the best woman win (hopefully). Will I buy it again – yes I definitely will. After battling to find a Mag that I could settle into for years now (other than décor mags) I think I have found my everyday gals mag. 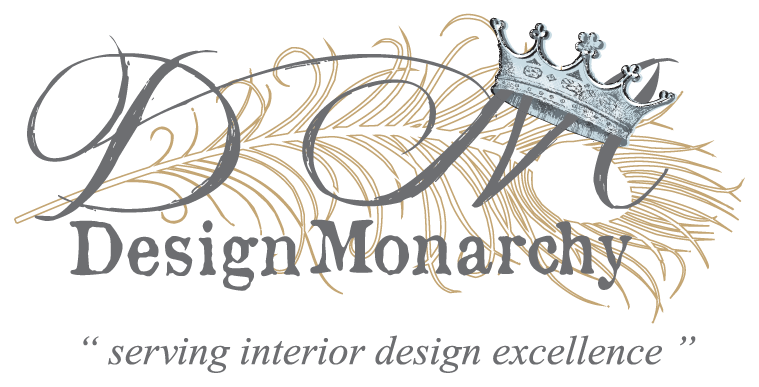 Happy reading all – until the next time, Yours in service to interiors.